This quarter’s multicultural week was an exciting mix of activities centered around the theme of storytelling: stories of healing, stories of strength, stories of cultural empowerment. The events were inspired largely by the works of Octavia butler, the author and focus of this year’s Community Read. The week included Native American Dancing and storytelling, a community garden plant sale, and a sci-fi writing workshop amongst others. 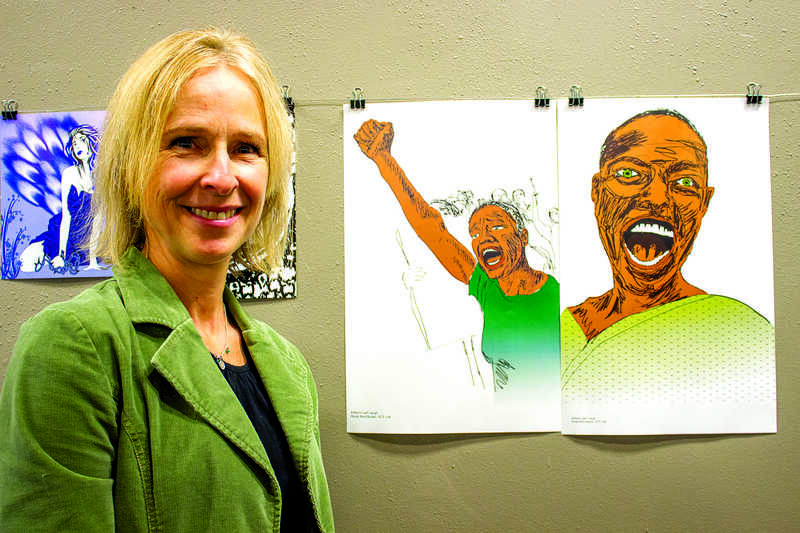 This winter, visual arts instructor Christine Shafner had students in in her VCT 134 class choose a story from “Octavia’s Brood” to illustrate. Shafner asked students to try to convey a specific emotion from their story and gave them a limited color palette to work with. Students were first asked to draw their illustration in black and white and then transfer them to Adobe Illustrator. Using WACOM tablets, pressure sensitive tablets that allow users to draw illustrations digitally, students then chose two colors as fill. Shafner has been working Shoreline CC for 20 years and will be on sabbatical for one year starting next fall. Writer Walidah Imarisha and Hip Hop artists Gabriel Teodros lead a sci-fi writing workshop at 1:30 p.m. on Thursday in room 9208 in the PUB. Students were given various writing assignments. Towards the end of the workshop students were asked to choose a character from a sci-fi novel series such as the Chronicles of Narnia or the Hunger Games series. They were asked to identify how those characters were marginalized in the books and how to come up with ideas of what the society in the book could do better to support those characters. Imarisha said that sci fi novels are a great way for readers to reflect social issues. 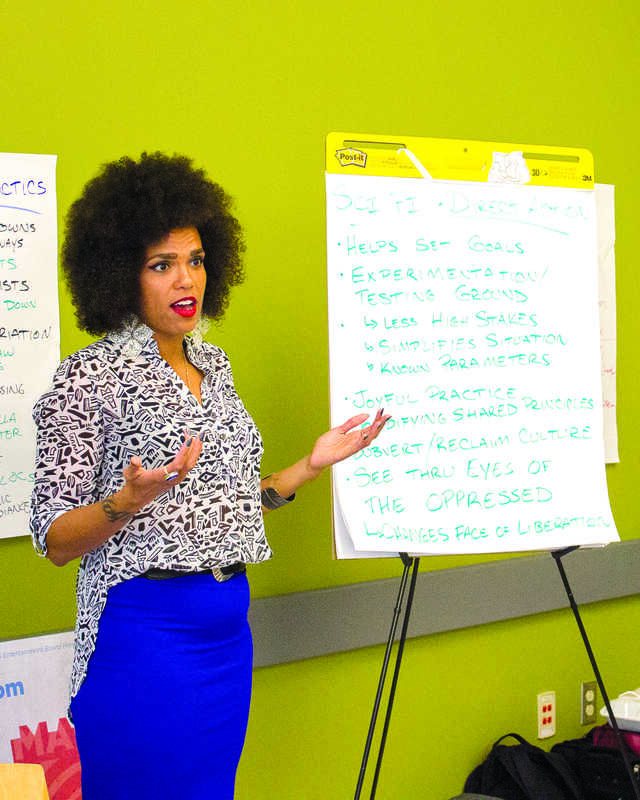 “The point of the workshop is for students to think about how we can use cultural spaces that we’re familiar with to change what freedom and justice look like,” she said. 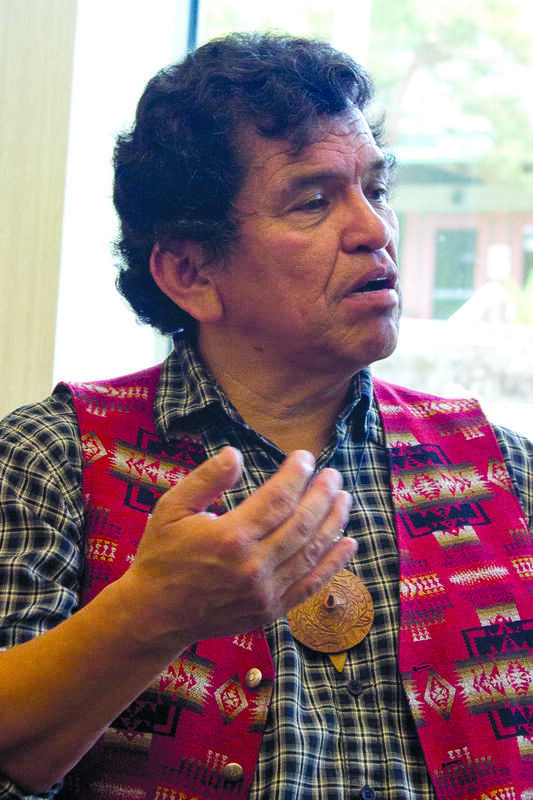 Roger Fernandes shares the myths and legends of Coast Salish tribes from across the Pacific Northwest. His role as a storyteller is to look at the teachings within stories and examine their relevance in modern society, comparisons he asks the audience to reflect upon afterwards. Fernandes says that his stories are much more than just a simple telling of things that have happened but that stories that grapple with moral values that important for us to reflect upon. “To do that, we need more time in our lives and this culture doesn’t give us time to do anything,” said Fernandes. Six Native American dancers performed a traditional South East Alaskan dance in the PUB on Monday, kicking off the Native American Symposium portion of Multicultural Week. The dance began after a speech was given by the lead dancer, Nahaan, a Tlingit indian who does not associate with a last name. Nahaan, who has been dancing since 2008, spoke about global warming, the water cycle, and the importance of sustainable transportation, all before giving an excellent performance. As Washingtonians, he mentioned how blessed we were not to have to worry about water like the many workers who live in California. He also said that riding the bus, one’s bike, or walking to work, were all ways we as commuters could take a stance against what’s considered a “normal” carbon footprint. “If you feel me say hell yeah,” said Nahaan. With an enthusiastic response from the crowd, Nahaan began the dance.